Immaculate move-in ready Concrete Block/Stucco, Gable/Hip Roof, 3 bedroom 1-1/2 bathroom with a LARGE sparkling in-ground fenced-in POOL on a cul-de-sac street nestled on a nice sized OPEN lot with plenty of room to grow. BEST of ALL no HOA! Home is open, bright, freshly painted in neutral colors thru-out including garage. The Kitchen and Dining Room area overlook the porch and sparkling POOL. This home features thru out: Large CERAMIC TILE in the Living Room, Dining Room, Kitchen, Hallway and Bathrooms and WOOD LAMINATE in ALL of the Bedrooms. NEW Architectural Shingles installed in 2019, workmanship and shingle warranty ALL transferable and new POOL pump installed in 2019, with a one year transferable workmanship/POOL pump warranty from installation date. Newer A/C, renovated bathrooms include new tile and vanity and sink cabinets. This is a FABULOUS home for first time home buyer, second home or a bountiful rental investment. This one of a kind home has so much potential and it is priced to sell quickly. HURRY this home wonât last long!! Home is minutes to Toll Road 417, SR 17-92, Mall, Shopping Centers, restaurants galore, grocery stores, Super Wal-Mart, Home Improvement stores, Hospital, Medical Centers, Schools, etc. 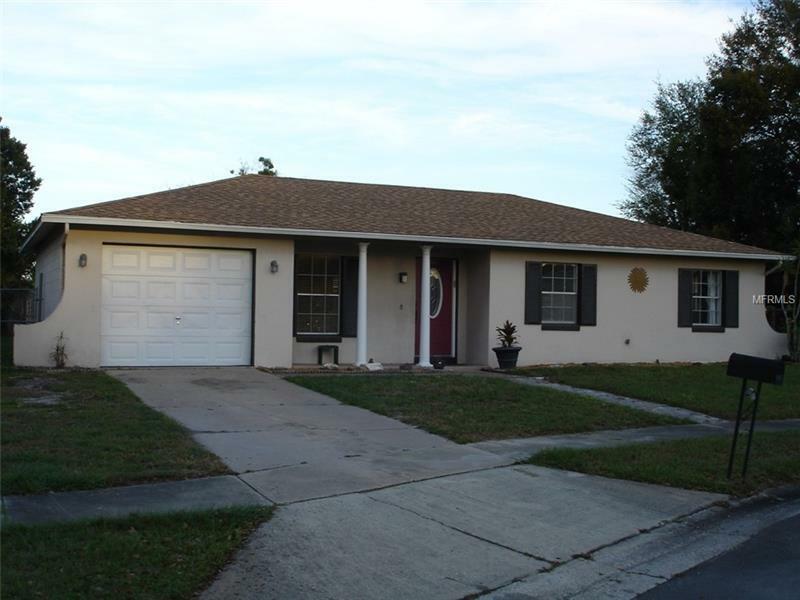 Easy access to: I-4, Seminole State Community College, UCF, downtown, attractions, etc.